My name is Augustina Ola Enweze, Tina, Adadiorama of Arondizuogu. Currently I am the National Fundraising Director for ASA Women USA. I am originally from Arondizuogu in Imo state. I am married to Dr. Lawrence Enwezeof Umuoji in Anambara State. I am the proud mother of three. I came to the United States of America in 1980, immediately after my secondary school to further my education. I attended Howard University in Washington, D.C. where I earned both my Bachelor’s andMaster’s degrees in Mass Communications. I have been in the Washington Metro Area since I graduated. the healthcare reform of 1993. After this, I got a job with the State Of Maryland under the Department of Health and Human Services. In 2001, I left the State of Maryland and moved to the Montgomery County government Department of Health and Human Services doing the same line of work, under the Family Investments Program. After putting about 10 years of service in Montgomery County HHS, my passion and drive for entrepreneurship grew bigger. That passion overwhelmed me and ultimately led to the conception of Absolute Care Nursing & Home Healthcare Services, LLC.in 2011. Absolute Care provides high quality home healthcare services to the disabled adult and children in the State of Maryland. Since the inception of Absolute Care Nursing, I have also added Absolute Care Therapy and DME Services, which provide Physical and Occupational Therapy to clients, and the supplier of Durable Medical Equipment; licensed by the State of Maryland. Education: BA, MA – Howard University, Washington, D.C.
Career: CEO of Absolute Care Home Healthcare Services, LLC. Licensed Realtor: 1992 to Present in Maryland, Washington D.C., and Virginia. 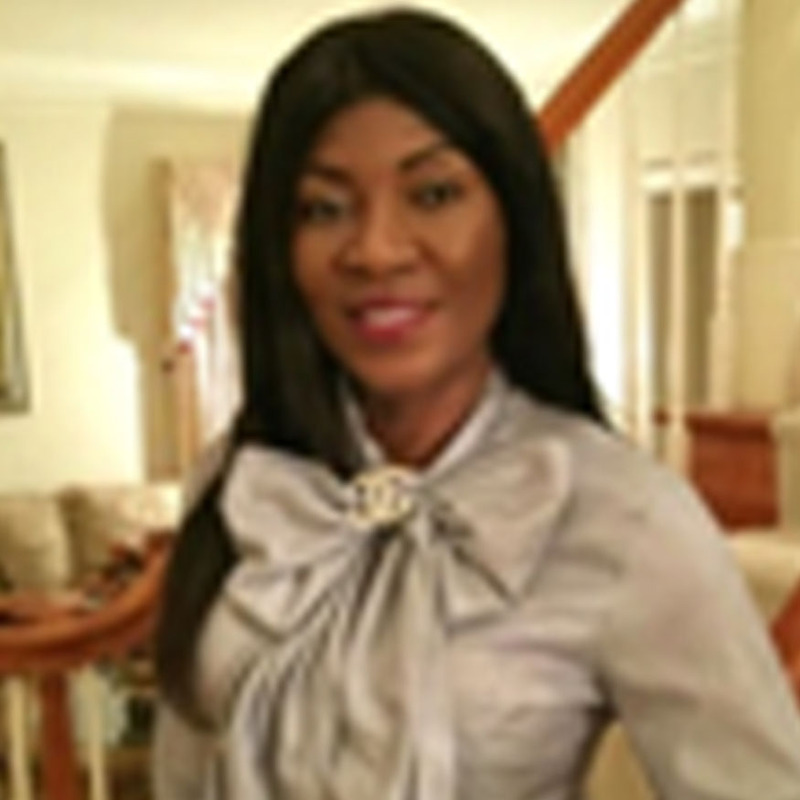 Served as Executive Director for ANWLD in 2011 – Association of Nigerian Women Leaders in Diaspora.An organization created by a group of Nigerian Women in the United States to empower under privileged women in our native Country, Nigeria.